Brampton, May. 18, 2016 – On Monday, May 30. the City of Brampton and the Downtown BIA will be hosting the fourth annual Bike to Work Day Breakfast event in the Garden Square from 7:30 – 9 A.M. Guest speakers Mayor Linda Jeffrey and Police Chief Jennifer Evans will be attending the event. Bike to Work Day is an annual celebration to kick off Bike Month, focused on promoting cycling as a viable and healthy option for commuting to work. Residents of Brampton are invited to join us in Garden Square for free breakfast provided by local downtown businesses including: Dolcezza Custom Cakes, Fruision, GK Kitchenette, Joey’s Deli, Starbucks, and T by Daniel. 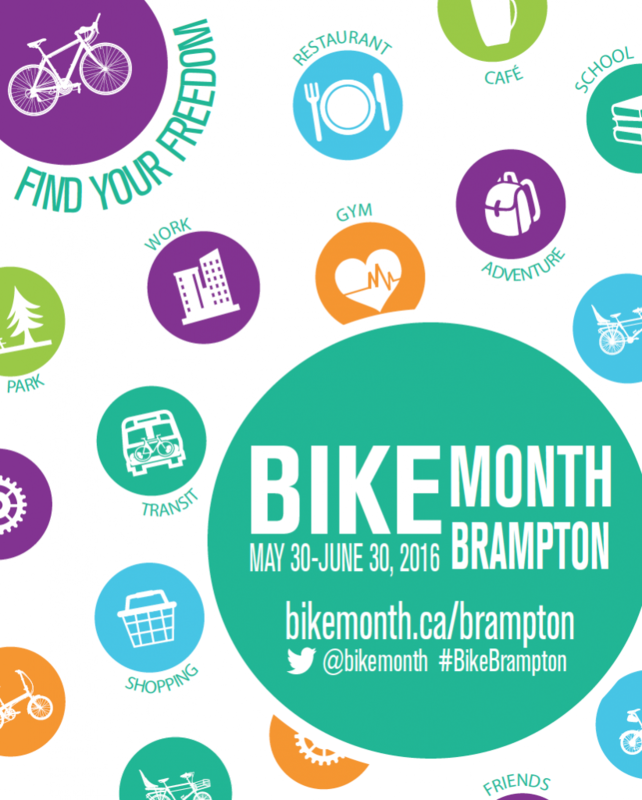 Participants can also take advantage of a free bike tune up in the Square, courtesy of The Cyclepath Brampton. Free organized rides to the Garden Square event will depart from six gathering points around the City, and will be led by representatives from the Brampton Cycling Advisory Committee and BikeBrampton. These optional rides give less experienced participants the opportunity to ride alongside more confident cyclists.